When lawmakers retire, they usually make their announcement in a straightforward way: a press release, a press conference, or a media interview. 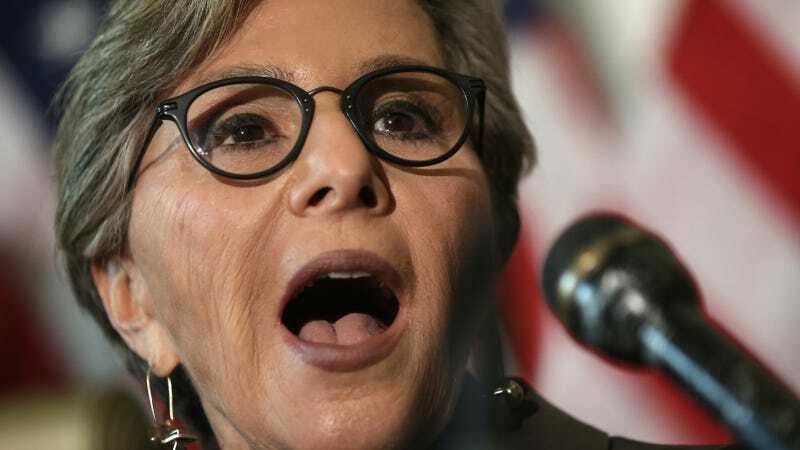 Not California Sen. Barbara Boxer (D). The fourth-term senator, who’s 74 years old, said Thursday she would not seek re-election in 2016 in an odd YouTube video featuring her grandson and her. Let's go over the ways this was weird. This is not typical attire for people who interview senators. Maybe Boxer will become the next Dr. Suess. I will never retire because that's the meaning of my life"
Boxer says she has "about 1,000 accomplishments"
Boxer told her grandson she has "about 1,000 accomplishments and I am going to post 100 of these at BarbaraBoxer.com." She's the top Democrat on the Senate Environment and Public Works Committee and she has helped pass major legislation, like the first federal funds for after-school programs. Where will this video rank on the list? House majority leader Nancy Pelosi (D-Calif.) learned about it during her weekly press conference. Regardless of how she made the announcement, Boxer's decision is a big deal. Her retirement leaves an open Senate seat in California for the first time since 1992, and it could open the door for a new generation of Democrats to climb the ladder. Potential replacements on include Attorney General Kamala Harris (D), Lt. Gavin Newsom (D), Los Angeles Mayor Eric Garcetti, and Rep. Jackie Speier (D), among others. Boxer denied her age and political polarization in the Senate factored into her decision. "I want to come home," she said. "I want to come home to the state I love so much: California."